Lisa Stransky Brown has been a top producer in the Washington area residential real estate market for the last 18 years and was recognized by REALTrends, as featured in The Wall Street Journal as one of the top individual agents in sales volume in Maryland for 2016, 2017 and 2018. She brings to the business a full-time commitment to her work and a high standard of professional ethics. Lisa is praised for her communication skills and enjoys keeping clients informed on the ever-changing housing market. Clients enjoy her enthusiasm, responsiveness and tremendous efforts expended to make each real estate endeavor smooth and successful. She attributes her success to her wonderful client base and her commitment to maintaining excellent professional relationships with other agents and industry professionals. Lisa has significant training in marketing, conflict resolution, negotiating, and client service. Although a consistent top producer each and every year, she is most proud of her many repeat client relationships and continued referrals from gratified clients. Lisa was born in the District of Columbia but has resided in Indiana, Ohio, the District of Columbia and Maryland. She currently resides in Potomac and loves to spend time with her three children, Francesca, Fletcher and Mitchell. Masters of Science, American University, Washington, D.C. THEY ARE THE BEST‼️ There wasn't a time that they didn't get back to me right away. If they were busy they would text me and tell me they'd get back to me soon. They were so helpful in getting the house ready (declutering as they would say)for sale. Selling ones house-which is very emotional to begin with-with them at the helm is as pleasant as it can possibly be. Nothing that needed to be done was ever too much for them. What a team‼️ if you ever need a reference for Lisa and Jennifer or your company, feel free to get in touch with me. Thank you again for this amazing team. We found Lisa Stransky Brown and her team at Washington Fine Properties to be extremely professional and able to maintain a pleasant outlook no matter what the situation they faced. They were instrumental in selling our home when nothing in the neighborhood was moving and were immensely helpful in managing the entire process, including lining up excellent resources for any needed repairs. Their references for moving resources and estate sale management were top-notch and eased the entire transition for us. The team�s willingness to be hands-on in the whole process was key for us, as we were partially moved and out of the area during the listing and most of the sale process. We recommend them highly and without reservation. I have worked with a lot of realtors around the country in the last 50 years. Not only have I never seen such client-centered competence in a realtor, I never even heard of that kind of competence in a realtor. You all did a spectacular job, and Fran and I genuinely enjoyed working with you. I hope this note finds you well and enjoying the summer. I am writing to tell you what a phenomenal asset you have gained in Lisa Stransky Brown, who is without doubt THE most incredible Realtor my wife and I have ever worked with! We recently sold our home in Potomac, MD, and bought a new home in Annapolis, and Lisa really went "above and beyond" to ensure both transactions were as smooth for us as possible. Her former employer, Coldwell Banker, recently sent me a survey asking how the process went and I gave Lisa the highest marks, so I thought it only fair to tell you about our experience with her as well. The main thing that struck me about all of our work with Lisa is her friendliness and positive attitude. Selling and buying homes can be an incredibly stressful process for anyone, especially in the current market conditions. But Lisa is such a nice person, always cheerful, energetic, and upbeat (but not one to sugarcoat bad news, which is good), that we really enjoyed working with her. She is so easy to work with and we will always remember the many laughs we shared during the process, as well as how genuinely excited she was for us when good things happened! Lisa really goes to great lengths to build a relationship with her clients, and we always felt she understood our desires but would ask us questions if she needed to clarify anything as she guided us along. Of course the process of buying and selling had its hard work and some challenges, but knowing that Lisa was there helping us through everything made it all as smooth as I could possibly imagine it all to go. Coupled closely with this is her impeccable professionalism and dedication. Lisa presents a model picture of the Realtor in my view: she represents her brokerage extremely well, in everything from her dress, to explaining in plain terms (which I greatly appreciated) how different processes work and what documents mean, to making us feel like we were her only client through daily check-ins or notes to let us know the latest status. Maybe her greatest asset in this area is her incredible attention to detail. I am amazed, simply AMAZED, at Lisa's ability to address every little detail involved with real estate transactions—I work in a very detail-oriented field and am blown away by how good she is at coordinating all the little moving parts of these incredibly complex transactions. Our previous buying-and-selling experience was nowhere near the quality of what Lisa delivered�it is always daunting when someone says to you, "If you want to sell your house, you need to do this, and this, and this..." We certainly had a bunch to do but I felt very comfortable that Lisa had thoroughly examined our home and was giving us a clear and accurate picture of what we really needed to get done. She even went so far as to give us some optional things which she thought would be beneficial to do, but were not so critical that if we wanted to skip them to save money, we could. We REALLY appreciated that from her. We also were thankful that she was so open-minded during the whole thing, listening carefully to our ideas and frankly discussing the pros and cons of each. I never felt like her attitude was "my way or the highway" but that she considered our needs and interests throughout, and helped us make all the right choices with her knowledge of what it takes to get a house ready to sell. To get the work done, Lisa hooked us up with some great contractors - she really has excellent contacts for people who do quality work, are honest, and whose charges do not break the bank. We were very impressed by her network of workers and the job they did; we are even having some of them come do work in our new home! Lisa was constantly coordinating the parade of contractors for us (she was incredible in always saying "Let me take care of that for you" to lighten our load and making things get done when they needed to, and never failing to offer to help in any way she could) and telling us about the listing and showing processes - I always felt completely comfortable that she had everything well under control. Of course, her incredible work with us to get our house ready to sell paid off in a big way - three offers in five days! She was genuinely happy for us when we negotiated the offer that was just right for us - she had worked hard to get a couple of "extras" that made a huge difference for us. That is a testament to her talents and I give her all the credit for making everything happen so smoothly. When it came to finding a house in Annapolis, I will admit I held a slight reservation about having Lisa handle this, just for the reason that it was not her "home territory." But this hesitation was short since she was doing such an incredible job selling our home and I knew she would do an outstanding job in any location. Our faith in Lisa was rewarded as she listened to our wants, came out and looked at houses with us—providing honest feedback on them (in areas where I was not as knowledgeable, like construction, design ideas, etc. ), and quickly learned the important little aspects of the neighborhood we were interested in. When we identified the home we really wanted (which had been taken off the market some months before), Lisa focused her considerable energies on carefully working with their listing agent and explaining our offer. I do not think the purchase would have happened in the hands of another Realtor, because Lisa was so sharp in working with the selling agent (and giving us frequent updates as to how it was all going) and making sure our best interests were always represented. We are so incredibly happy with the work she did to get us the house we really wanted at the right price. And as with the selling of our home, Lisa celebrated with us the good news, and was so thoughtful that she gave us some very sweet gifts for our new house! She is just a nice and thoughtful person. I apologize for the length of this letter already, and I could go on and on about all the little things Lisa has done to make a hard process very smooth. I hope this has given you some picture of how appreciative we are for all of Lisa's incredibly hard work and the wonderful results she has achieved for us! She is so good at what she does that I have NO doubts she will not only be an irreplaceable asset for your company, but be the sort of Realtor that others will learn a lot from and thus make everyone around her better. We do not plan to move again for a very long time (if ever! ), but can say with certainty that if it does happen, we will use Lisa again. Thank you for your time in reading my letter and I wish you all the best. Have a wonderful summer. "We were moving to Maryland from out-of-state in early 2011 when the inventory of good properties in our price range was limited. After losing bids on several homes with a different realtor under conditions where multiple buyers were bidding for the same property within days of it being listed, we realized we needed to find someone who could better navigate the negotiation process in this highly competitive market. Lisa was recommended by a mutual friend and took us under her wing immediately. Her strategy to deal with the competitive buyers� market included interacting on a personal basis with the listing agent to build relationship, timing the presentation of our offer JUST RIGHT, and switching our approval letter from a larger national bank to a local small lender to demonstrate committed financials. It was the recipe for success and secured us a home is less than two weeks of working with her. At a time when moving across the country was turning into a nightmare with three lost homes, Lisa took over and finished the job right. She's professional, superbly experienced in the competitive situation, works well under pressure, personable, and reads you like a book such that she understands your likes and dislikes quickly and can steer you in the right direction. I have moved across the country three times with job searches and she is by far the easiest and most reliable realtor we have dealt with." "I do not believe that I can fully explain the amazing job that Lisa did for us. Not only did she deal with a very complicated dual ownership issue with the home, but she was able to help get us multiple offers in a declining market. I would not hesitate to use her again and gladly recommend her to everybody I know." "Lisa is the without a doubt the best agent in the area. I have bought and sold two properties with her and referred many friends and associates. Lisa is a hard worker, very knowledgeable of the DC market, and goes the extra step needed to ensure it is the best deal for you and your family. And she does it all with a smile. I highly recommend working with Lisa." "We have worked with Lisa three times (bought twice and sold once) over a period of eight years. She's a class act both as a buyer�s and listing agent, and as a result we have referred her to friends with great success numerous times. She knows her market well, builds trust, is very responsive, and is a highly skilled, creative negotiator. She's always gone the extra mile to help us get settled in our new home/neighborhood after close. I highly recommend her services." "We first met Lisa when we needed to buy a house from overseas. We had less than two weeks to find and buy the perfect house. Lisa was fantastic because she spent several days driving us to multiple houses, and then she knew just what to do when we found our house. She knew how to make our offer competitive so that we still got our house even though there were multiple offers. Then, three years later, Lisa helped us again and sold our house in four days in a very slow market! Lisa marketed our house perfectly both on the internet and through word-of-mouth so that it only took one weekend open house to sell our house. We were so happy with Lisa due to her expertise in the entire buying and selling process as well as her extensive knowledge of the area. We will definitely call her again if we ever move back to the area!" "Michael and I can't thank you enough for guiding us through our first home purchase. You helped us choose the right home, negotiate acceptable terms, and make sure that the sellers followed through on their commitments. We know that we wouldn't have gotten the same results working with another agent. We're particularly grateful for your patience during our year-long search in a time of scarce inventory. We never felt rushed to buy any house; instead, we benefited from your candid critique of each home that we considered. Thanks, too, for your kind note and generous gift. We enjoyed working with you, and found that your passion for real estate is contagious. You can count on us to recommend you to our friends." "Thank you SO much, Lisa. You have been beyond amazing through this entire process, and I really cannot thank you enough for all of your support, guidance, and perseverance these past few months. Lisa Brown is the BEST!!" "We want to wish you and your family a Happy New Year and thank you for helping us find our home. Literally every time we come home Emily and I look at each other and say how much we love our home. We have done some painting and are mostly moved in at this point. I don�t think we have had buyers� remorse for even a moment." "Lisa sold our condo over asking in three days!! Simply amazing and we were pleasantly surprised with how quickly the process moved from Contract to Settlement!! She is an outstanding real estate agent!" "Lisa Stransky Brown is not only a great agent, she is a smart agent. She knows the market in and out and takes the time to get to know her clients well enough to accurately anticipate their likes/dislikes, so all time spent on home buying/selling is productive and efficient. Lisa pays close attention to all the small details in contract writing, financing, home inspections, etc., and her process expertise allows her to formidably serve as the client's "project manager" from Offer to Close. She is a competent negotiator and never comes to the settlement table unprepared. We have purchased three homes and sold two homes with Lisa Stransky Brown over the years and wouldn't think of using anyone but her for future real estate transactions." 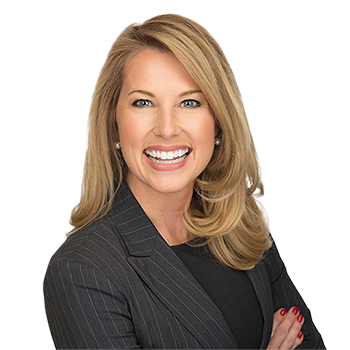 "Over the past nine years I have had the pleasure of being represented by Lisa during the purchase of two homes in DC, while referring her to numerous friends. However, Lisa has been so much more than simply a buyer's agent. She has been my go-to source for information on refinancing, necessary repairs (complete with a rolodex of reputable contractors and craftsmen), possible home improvements, and general guidance on the purchase, upkeep, and sale of my properties. Whether it was her opinion on which neighborhoods best fit my style or her knack for recognizing and negotiating the best price, Lisa has always put my needs as the client ahead of her own. To further prove my point, when purchasing my first home, Lisa would pick me up from my office every day, drive me to 3-5 viewings and then drop me back at the office. We did this for more than two months before finally making a purchase. When talking to friends and colleagues, I frequently refer to Lisa as the "Best Realtor in the World" and the praise is warranted and justified." "Lisa is an outstanding realtor—professional, knowledgeable, and fun. She knows the Washington, DC, metropolitan area and is licensed in DC, Maryland, and Virginia, which becomes invaluable if you decide mid-search you want to look in another area. Lisa really takes time to get to know her clients and home searches at their pace. I've bought two homes with Lisa and sold two homes with Lisa, all very different properties (new construction, old construction, condo, duplex, single family home, suburbs, city). Each time she knew the right questions to ask me that guided me through my home-buying decision-making process AND the right questions to ask of everyone else involved—the home inspector, the appraiser, the loan agent, the seller's realtor, etc.—to ensure my experience was a positive and successful one. She understands pricing—both on the buying and selling sides. Her advice in our purchases and sales has been invaluable and ensured we sold our homes quickly (both in under two days) and were the accepted contract by the seller when we purchased (one had eight offers, and ours was the one accepted, thanks to Lisa). Bottom line, she knows real estate better than any other agent I've met in this area AND she's an absolute delight to work with." "We have been in the process of relocating to the DC area from Maine—a stressful time, especially because of the active seller's market in the area. In the midst of all these anxious times appeared Lisa Stransky Brown. Her genuine warmth and friendliness, commitment of time and attention, and willingness to "go to bat" for us made the whole experience a very positive one. If anyone had told me I would have bought a house in less than three days of looking, I would have told them they were crazy. But it was Lisa's commitment, her incredible positive outlook, calming personality, and amazing energy that made it all happen. You can be sure that we will recommend her to anyone who is seeking to buy or sell a home." "We absolutely love our house and are so thankful to you for all of your help. We can't thank you enough for making our first home-buying experience such a pleasure." "I want to thank you for all your dedication and assistance in finding and acquiring the perfect home in Maryland. In all my years in real estate, I have never encountered a more challenging market for a home buyer; your extensive knowledge and experience as a real estate professional were invaluable. I consider you one of the "best of the best" in the real estate field today. My unequivocal recommendation to your future clients will always stand." "Lisa helped sell my two-bedroom condo in less than a week at 99% of asking price. It's important to note that this was during a time when the condo real estate market was in the early stages of entering a soft market for sellers. I expected to sell, but certainly not for that price and that quickly. I should have known better, as this was my third real estate transaction with Lisa and she amazed me the prior two instances, so doing it again should have been no surprise. Again, her personal touch combined with her market knowledge and thorough understanding of every step of the process proved to be a masterful combination. She is the best of the best and I always recommend her to friends and family!" "Lisa helped my wife and me purchase our first single-family home under a very competitive bidding process. The house went on the market on a Saturday, and the next day the sellers accepted offers. A total of 14 offers were submitted, and ours won!!! I attribute the success 100% to Lisa's guidance and negotiating skills. She told us exactly how we could make the contract stand out relative to others (in addition to price) and what things we should not give on (i.e., home inspection contingency). We trust her completely and always know she has our best interest in mind. She is not interested in just closing a deal to get the deal done. Rather, she's interested in what her clients want and what's in their best interest. That's why many of her clients that I know end up becoming long term customers—word of mouth is her most valuable asset because of the level of service she provides. She has all of the skills, knowledge and expertise—what really makes her stand out above the rest is her level of personal service to her customers. I never hesitate to recommend Lisa to family and friends." "Lisa is the consummate professional in her field. She stays on top of market conditions, provides great attention to detail, and delivers what she promises. During the summer of 2010, she sold our house in less than a week at full price. Other listings in our neighborhood were on the market for a longer period of time and were selling below asking. The next time you are in the market to buy or sell, make sure you contact Lisa."